The best life insurance for seniors depends on each person’s situation. Read life insurance company reviews as well as what to know before buying a policy. Leap Life is a life insurance broker that uses Artificial Intelligence (AI) technology to match you with a policy yielding significant savings. Savings range from 40 to 300% and policies come with a coverage limit between $100,000 and $5 million. The Baltimore Life Companies insures over 300,000 customers with policies in 49 states plus the District of Columbia. It offers a large selection of life insurance policies for seniors, including term life, whole life, universal life, and single premium whole life. Securian Financial Group offers term, whole, and universal life insurance policies for seniors. Some Securian term life policies can be converted to permanent (whole or universal) insurance when the term of the policy ends. Foresters Financial is an international company that offers life insurance for seniors along with retirement savings opportunities such as mutual funds and annuities. Choose from term, whole, universal, variable universal, and variable life insurance policies. We evaluated an extensive list of life insurance companies and selected the best ones with the most options for seniors. We looked at policy offerings and the reputation and financial stability of the company when making our evaluation. Our top four life insurance companies for seniors are Leap Life, The Baltimore Life Insurance Companies, Securian Financial and Foresters Financial. 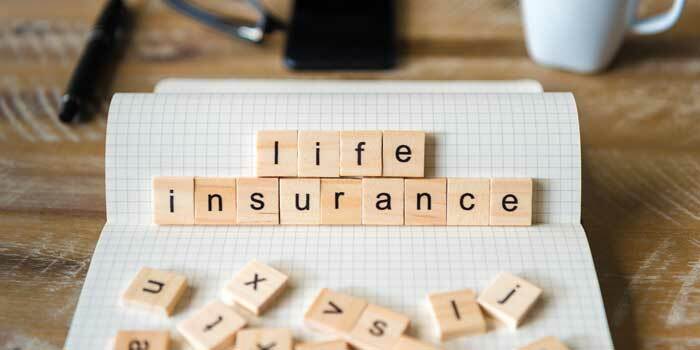 In this guide, we will explain the various types of life insurance policies and offer tips for shopping for life insurance. We also provided answers to frequently asked questions about life insurance, and detailed reviews of each of our top company picks. Life insurance companies often have different benchmarks for calculating risk, and therefore your premium. The higher the risk an insurance company considers you to be due to your age, health, where you live and your life history, the higher your premium is likely to be. But, not all companies use the same risk calculations, so always get quotes from multiple life insurance companies before you buy a policy. Any type of life insurance will usually have a cap on the age at which one can purchase a policy or for how long premiums continue. For example, whole life policies typically are in force until you would reach the age of 100. Term life insurance may possibly not be renewable after a certain age, face drastic premium increases or death benefit reductions of up to 75 percent later in life. Be sure to ask about restrictions on a policy before purchasing. Are not renewable after you reach a certain age. Have drastic premium increases as you grow older. 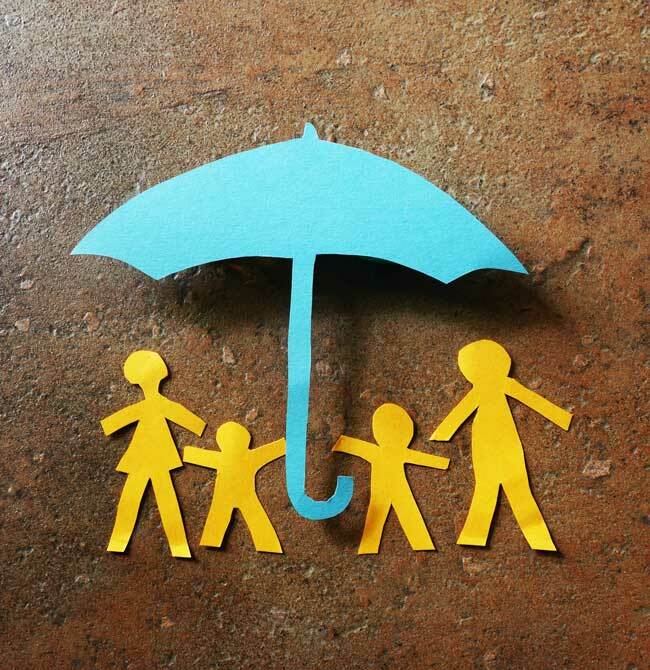 We researched various types of life insurance below to help explain the differences. Based on our research, we included an opinion with an explanation of whether or not each type of life insurance is a good choice for you. However, we are not giving financial advice. After you read our guide, you will have enough information to discuss your options with a licensed and trained life insurance agent. Term life insurance is the type of life insurance that is most familiar to the majority of people. This is almost always the most inexpensive life insurance you can find. Most companies offer term life insurance to employees and groups like college affiliations. Banks or credit unions often make it available to members. Term life policies are intended to cover a set length of time, not your entire life. The term referred to in this type of life insurance is the period the policy will be in effect, provided you pay premiums. The term is usually one, 10, 20, or 30 years, although other term lengths exist. If the insured dies during the term of the policy, the death benefit is paid to the beneficiaries listed on the policy. Once the term ends while the insured is still alive, the policy and coverage terminate, unless the policy is renewable or convertible, as explained below. Some policies offer guaranteed premium rates for a set amount of time, but this varies by company. Once you turn 80 years old, a term policy is unlikely to be available at any price. At the age of 65 to 75, term life policies often reduce the death benefit available while increasing premiums. The price increase, lower coverage and lack of availability are due to the insurance company attempting to reduce its level of risk as it is more likely to have to pay a death benefit as you age. Is term life insurance for you? Term life insurance is an excellent policy for younger people, but a offers diminishing returns for seniors. Whole life insurance is the most common type of permanent life insurance, providing coverage throughout your life until you die, as long as you pay the premiums. 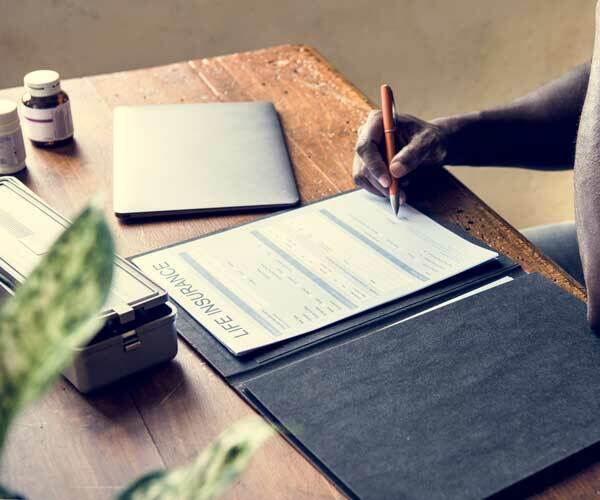 Whole life insurance has a set death benefit amount that is paid to beneficiaries and can have an additional investment component that grows and adds cash value throughout the time the policy is in effect. Whole life usually has a guaranteed level premium, meaning the annual premium you pay never goes up, regardless of age. The death benefit is usually level throughout the time you hold the policy. While the premiums for whole life insurance are more expensive than term life premiums, the policy will remain in effect your entire life. Some whole life policies allow you to pay all of the premiums up front for what is called a single premium or paid-up policy. You may find whole life insurance that offers an accelerated premium plan, allowing you to pay higher premiums earlier in the policy to reach paid-up status by the time you retire and your income drops. The cash value component of whole life insurance grows over the years and fluctuates with the stock market, with a guaranteed minimum rate of return. The death benefit is always the same, but as years go by, the amount paid to beneficiaries can be higher with the cash value. You can withdraw from or take out loans against your cash value, and if you cancel a whole life insurance policy, you will receive the cash value. Some policies also offer dividends that can be taken out as cash or rolled into the cash value account. Is whole life insurance for you? Purely as an investment, whole life rarely makes sense. However, it is a good option for ensuring that your beneficiaries are taken care of when you die while having the safety net of savings accrued in the cash value component. Universal life insurance is permanent insurance that offers much more flexibility compared to whole and term life insurance. Universal life gives you the ability to adjust premiums, death benefits, cash value, and policy term. Universal life premiums typically rise as the insured grows older. Why might a flexible death benefit be appealing? Take the example of buying universal life insurance that pays a death benefit to your children. The children grow up and have families, and you want to increase the death benefit to provide for the new grandchildren. You can increase the death benefit after you have a medical exam. Of course, your premium will go up with greater coverage as well. If it costs your insurance company less to insure you at the time you pay a universal life insurance premium, the excess funds go into a cash value account. It costs insurance companies more to cover you over time, so earlier premium payments will add to the cash value. You can also pay additional funds into the cash value account, which earns interest, typically at money market rates, or the cash value is invested in stocks and bonds. Fixed universal life insurance pays a set interest rate on the cash value. Indexed universal life insurance follows a stock market index, like the S&P 500, so the rate of return fluctuates. Drops in the index don’t affect the policy. Variable universal life insurance uses the cash value to invest in stocks, bonds and mutual funds. If the investments drop in value, you could realize a loss. Eventually, the cash value portion of the policy may be used to reduce or pay your whole life premiums. It’s vital to keep a close watch on the cash value to ensure your premiums will be covered. You may need to make a partial payment to make up the difference. If a premium is not paid in full, the policy will lapse, leaving you uninsured. Once your universal life cash value account gets to a certain level, you can withdraw a portion of those funds without affecting the death benefit, but you will pay taxes on the funds. Universal life insurance often offers a loan feature, but if you die before paying off the loans, the death benefit will be reduced by the amount you owe. After 10 or 15 years, a universal life policy can be terminated, or surrendered, in exchange for your cash value. If you don’t use the entire balance of the cash value account for the universal life premiums, the insurance company will keep what remains when you die. Unlike whole life, your beneficiaries are only entitled to the death benefit. The selling point for universal life is how the cash value should increase over time to more than cover premiums in later years. In theory, the insured could only pay the initial premium in one lump sum and then put the payments on autopilot using the cash value account. However, in times of poor market performance, the policyholder is open to not having sufficient funds in the cash value account to pay premiums. It is even possible to pay the premiums you are billed for and lose the policy for non-payment if there is not enough money on the cash value side to cover premiums that increase but that you haven’t yet been billed for. Is universal life insurance for you? Universal life can work well for younger seniors who are diligent about keeping tabs on financial account balances and who are prepared to add funds to the cash value account should the balance fall enough to be inadequate for covering premiums. If the premium is not paid on time, you will lose the death benefit. Universal life insurance is not a wise option in your later years when less of your premium will go to the cash value account and the account is unlikely to build up to a point to provide any benefit. Level death benefit: Beneficiaries receive the same payout no matter when the insured dies. Premiums for a variable whole life insurance policy with a level death benefit are usually lower but the death benefit hold less value in future dollars. Variable death benefit: The payout depends on a cash value account that is associated with the policy. Investments in this account can rise or fall, leading to an uncertain payout, but the insured can change investments held over time. Return of premium: A portion of paid premiums are refunded when and if the cash value account reaches a certain level. Minimum guaranteed death benefit: Guarantees that the policy will not lapse because the cash value drops too low. While flexible premiums can keep the cost of a variable whole life insurance policy lower, the way these policies are structured creates some risk should investments drop enough in value. Without a minimum guaranteed death benefit rider, the cash value account could be reduced enough to cause the policy to lapse, leaving no payout to your beneficiaries. Beyond market conditions, administrative charges for managing the investment portfolio reduce the cash value. It’s not all bad news with a variable whole life policy. The insured can start off with higher-risk investments to grow the cash value, then switch to lower-risk financial instruments later in life. In short, variable whole life is a whole life insurance policy with more risks, few or no guarantees, and the possibility of higher rewards. Is variable whole life insurance for you? Because it’s vital to maintain a set balance in the cash value account, the best candidates for variable whole life insurance are those who understand stocks, bonds and other investments. If you are willing to buy a minimum guaranteed death benefit rider and stay involved in the investment process over the years, a variable whole life policy can pay off well. For wealthy seniors, variable whole life can be a sensible addition to a well-rounded financial plan. For others, this life insurance can be a gamble. Along with features similar to universal life insurance like flexible premiums and the ability to withdraw funds or take loans from the cash value account, variable universal life insurance adds more control over the cash value portion with a variable account. These accounts are also known as sub-accounts and are used to create a portfolio of investments that correlate with the insured’s risk tolerance over the years. Although variable universal life is most often sold with a guaranteed minimum death benefit, you may need to purchase a rider to secure this option with some policies. Your personal mutual fund: The insurance company provides options for investing in stocks, bonds and money market funds in the sub-account, effectively helping you create a mutual fund that will help grow your cash account. Better risk management: You can include riskier investments stocks in the variable account earlier in the policy to capitalize on the potential for higher gains. Assuming you are younger at this time, you could withstand the typical market fluctuations. As you age, you can switch to less risky investments or create a portfolio with more exposure to bonds and money market funds but include some stocks to realize a higher gain. Fees and restrictions: Most variable universal life insurance policies restrict the number of times you can change investments each year, known as a transfer. There are penalties for going over this number. Also, there are investment management fees charged with each transfer as well. There are no capital gains taxes on earnings when you transfer the investments. If you withdraw funds, there are no tax consequences. Your beneficiaries are protected from income taxes as well since the death benefits are not taxable. Playing an active role in managing the investments with a variable universal life policy is appealing for many people needing life insurance. The increase in the cash value can pay the insurance premiums and allow you to make withdrawals to pay for a number of expenses throughout life. However, the financial markets fluctuate a great deal at times, which will impact investments to decrease your cash value significantly. You must ensure that the cash value account is funded well enough to pay premiums at all times. Variable universal life insurance includes a hefty surrender charge, typically within the first 15 years of the policy. If you cancel your insurance, you will lose thousands of dollars, possibly your entire cash value. Is variable universal life insurance for you? This type of life insurance is most beneficial to those who understand the stock and bond markets. Without this knowledge, the sub-account can fail and force you into a surrender charge. Your insurance broker, who must be licensed and registered with the Finance Industry Regulatory Authority (FNRA) to offer variable universal life insurance, should be available to assess your investment choices, but you are in control of the mix of stocks, bonds and money market funds in your account. Variable universal life insurance is not for the elderly because of the surrender period and low chance of growing the account enough to offset fees before death. Younger seniors with a comfortable level of accumulated wealth who understand how to create a balanced portfolio for their age could benefit from the tax advantages of variable universal life insurance, particularly if they also hold a whole life insurance policy. 1. We searched the web for a number of life insurance companies. 2. We evaluated life insurance companies based on our expert-guided buying criteria that included the depth of product their line (policy options), reputation, and how the company’s policies benefit seniors. 3. We provided you with our choices for the best life insurance companies for seniors for consideration. 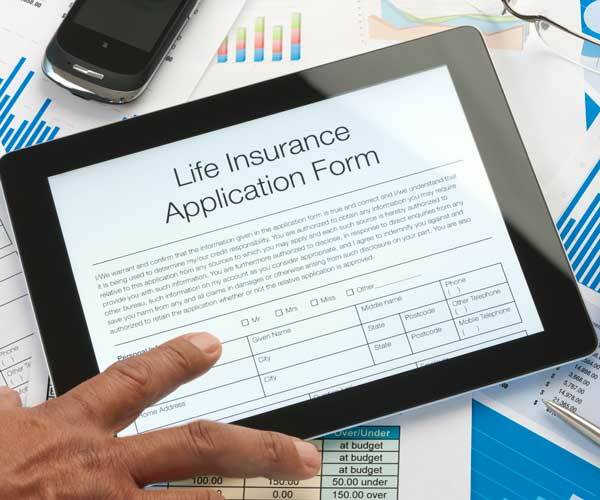 There are vast numbers of life insurance companies currently in business. We sifted through the information to find the best information on life insurance for seniors. 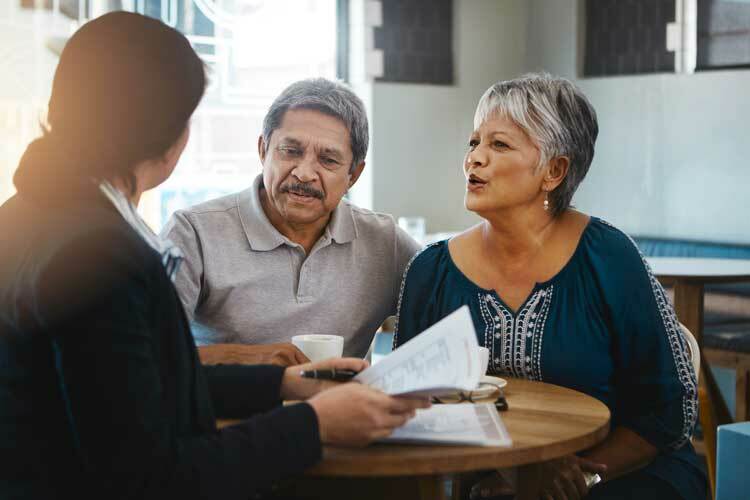 Our in-depth analysis of life insurance for seniors went deep inside the benefits and risks of different policy types from various insurers. After careful review of the information, we made our recommendations and compiled our report on the best life insurance for seniors. After our research and review, we selected our top choices for the best life insurance companies for seniors: Leap Life, The Baltimore Life Insurance Companies, Securian Financial, and Foresters Financial. Each of these companies uniquely stood out from the competition. Founded in 2016, Leap Life is a life insurance broker offering the ability to shop life insurance policies from one place while chatting with insurance experts to find a policy that fits your needs. It partners with highly-rated companies like Protective Life, American General, Mutual of Omaha, Pacific Life, and Transamerica. All of these companies have strong financial strength ratings from AM Best. 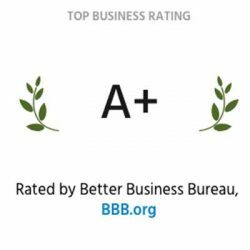 Leap Life holds an “A+” rating with the Better Business Bureau. Read our comprehensive Leap Life review for more details. Baltimore Life Insurance began as the Baltimore Mutual Aid Society of Baltimore in 1882 at a time when life insurance was more of a burial policy. Since then, the company has grown its offerings and now insures over 300,000 customers with policies in 49 states plus the District of Columbia. Baltimore Life offers a large selection of life insurance policies, including term life, whole life, universal life, and single premium whole life. The packaging of some plans include benefits you will only find with Baltimore Life. For example, under the Secure Solutions Single Premium Whole Life policy, the insured may be able to receive a portion of the death benefit while still alive if they experience catastrophic events such as a terminal illness. The riders and options listed in the chart below are just some of the ways you can customize your Baltimore Life Insurance policy for your needs, including one term life policy, three whole life policies and one universal life policy. Baltimore Life currently holds an “A+” rating with the BBB with only 4 customer complaints listed in the last 4 years. Securian Financial Group is the parent company of Securian Life Insurance and Minnesota Life Insurance companies. Securian Financial began in 1880 in Minnesota and now has almost $1.2 trillion life insurance currently in force with almost 19 million customers in North America. They paid out $5.3 billion to customers in 2018 alone. Securian offers direct-to-customer service and the option of working with a local agent through one of their nationwide network of partner agencies. Securian offers term, whole, and universal life insurance policies. Under the universal life umbrella, they offer fixed, indexed, and variable policies, each with varying risks and rewards. Some Securian term life policies can be converted to permanent (whole or universal) insurance when the term of the policy ends. Stable cash value growth, no investment risk, flexible premium payments. *Additional policies available. We included one of each type as a sample. Death benefit with accumulating funds for supplemental retirement income or other goals, with downside protection. Foresters Financial began in 1874 in Canada as a life insurance provider and are part of The Independent Order of Foresters. Today, they are an international company that offers life insurance along with retirement savings opportunities such as mutual funds and annuities. They have grown to over three million customers across Canada, the United States, and the United Kingdom. Foresters offers a full range of life insurance products, including term, whole, universal, variable universal, and variable life insurance policies. Foresters works through regional agents for a local service experience. Foresters Financial Life is not BBB accredited but currently holds an “A+” rating with the Better Business Bureau with only 26 complaints registered over the last three years across all product lines. Many life insurance companies require you to get one or more health screenings before you can be eligible for a life insurance policy. Often, Medicare or Medicaid won’t’ pay for health screenings. Companies like Life Line Screening offer low-cost health screenings ranging from around $149 for five screenings to $228 for six. You can also choose to purchase a monthly membership package for $19.95. The monthly membership package gets you six standard health screenings each year. Read our full Life Line Screening review. What is a flexible premium? Universal life insurance often offers a flexible premium where the policyholder can change the amount of the premium within parameters set by the policy. Paying a lower premium may increase the term or decrease the death benefit. Opting to increase the premium usually raises the death benefit, requiring the insured to submit the results of a medical exam to the insurance company. Some common adjustments made with flexible premium options are paying higher premiums early in the policy to be able to pay lower premiums after retirement, paying a portion of premiums with proceeds from the investment account, or paying a policy premium off with one lump sum. What is a high-risk policy? When an insurance company will likely have to pay out on a policy before collecting adequate premiums, the policy is considered high risk. Not all insurers offer life insurance to high-risk individuals and those that do usually charge significantly more for those policies. How do I know if I am in the high-risk category? Because of the complexity of the calculations and the differences between insurers, rates for high-risk insurance vary a great deal. Get multiple quotes if you think you may be in a high-risk category. An accelerated death benefit allows a terminally ill insured person to collect all or part of the death benefit on their policy before they die. This life insurance feature is meant to help cover the catastrophic costs of a terminal illness. Using an accelerated death benefit reduces or eliminates the death benefit paid to beneficiaries later, and the insured may have to pay fees or interest charges. An accelerated death benefit is also known as a living benefit. Do I need life insurance? Won’t my estate be enough for my heirs? The only reasons you do not need life insurance are if your assets and streams of income reach a level that covers all of your retirement and end of life costs and you feel comfortable with providing for your heirs or other beneficiaries. Another reason you don’t need life insurance is if your heirs are doing well financially and your estate can be liquidated to pay taxes and end of life expenses you die. Everyone else should have life insurance, and buying a policy earlier will save money in premiums in most cases. Carrying some form of life insurance protects your estate and your heirs and, in some cases, provides a valuable safety net for the cost of catastrophic illness using a living benefits option. 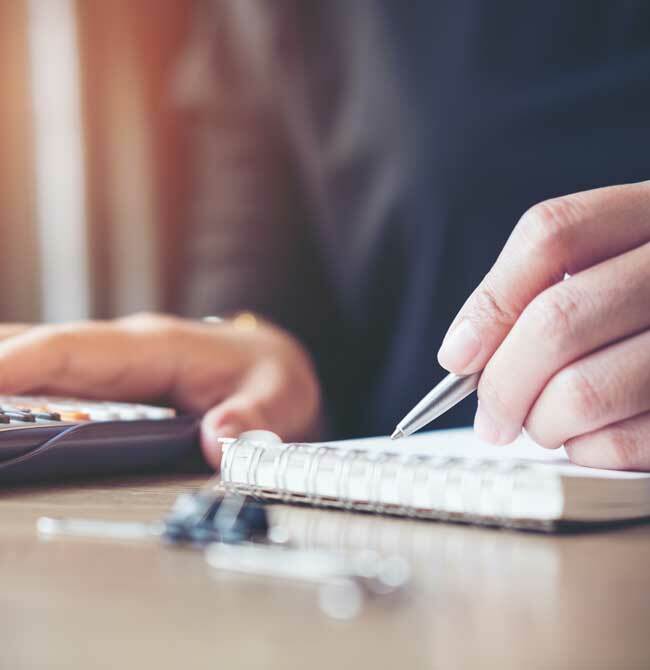 Expenses such as settling your debts and paying for medical bills and other end of life care like estate court taxes can drastically reduce funds and property left for your heirs. Most people need life insurance to provide funds to cover expenses and, depending on the policy, leave tax-free income to their heirs or other designated beneficiaries. Life insurance also offers a safe way to ensure a partner who does not fall under state inheritance laws is guaranteed to receive monies you intend to leave to them.